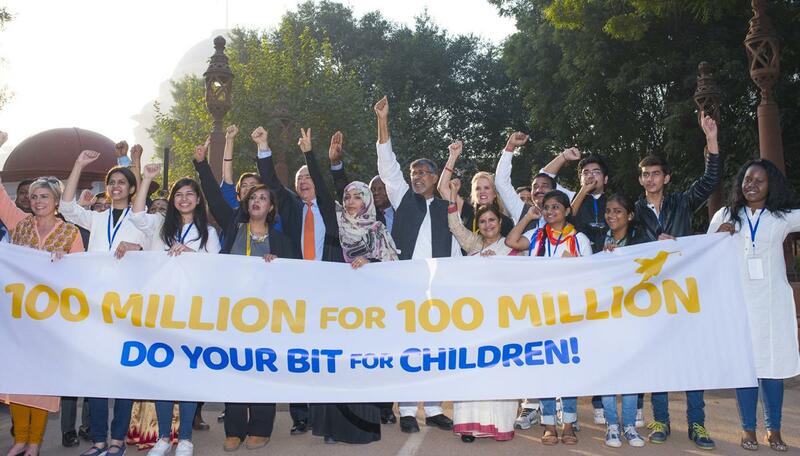 In the historic launch of Nobel Peace Laureate Kailash Satyarthi’s 100 Million for 100 Million Campaign, thousands of children and youth marched down from the forecourt of the Rashtrapati Bhavan to India Gate in New Delhi. The visually arresting March, marked the culmination of the Laureates and Leaders for Children Summit, helmed by Sh. Satyarthi. 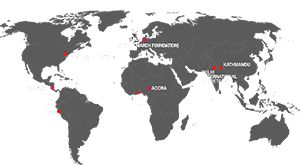 The Campaign is a global initiative of Sh. Satyarthi to support 100 million youth to stand up and be the voice of the voiceless 100 million children and youth across the world, within the next five years. Hon’ble President Pranab Mukherjee, on his 81st birthday, flagged off the Campaign with a passionate address to thousands of strong audience. Sh. Satyarthi also addressed the gathering from inside the prestigious Durbar Hall of the Rashtrapati Bhavan, followed by leading the march accompanied by Nobel Laureates and Leaders. The Campaign was launched at the end of the two day long Laureates and Leaders for Children summit that had over 20 Nobel Laureates and world leaders deliberate over a collective will for children. The summit, also held at the Rashtrapati Bhavan, had speakers like His Holiness Dalai Lama; former Prime Minister of Australia Julia Gillard; Nobel Laureates Mdm Leymah Gbowee and MdmTawakkol Karman, Prince and Princesses of Monaco, Jordan, the Netherlands, Ms Kerry Kennedy, President, Robert F Kennedy Human Rights, among many more important laureates and leaders. Along with the mentioned dignitaries, young people from 15 countries, and more than 250 eminent personalities from various walks of life – academia, business, civil society, sports, arts and culture joined the Summit to call for an urgent action to allow children to enjoy their childhood years unhindered.The Summit was aimed to channelise the intellectual, moral and political power of the world’s leaders to focus on the greatest challenge of our times - the need to protect and educate every child. This was the first-ever event of such a scale to be held on Indian soil. Speaking about the campaign imperatives, Nobel Peace Laureate Kailash Satyarthi said: “Starting today, let us build the legacy we want to leave behind. I want your support in making a world where every child is free, safe and educated. The Hon’ble President and various dignitaries lauded Mr Kailash Satyarthi for bringing them together for the common cause of children’s welfare across the globe. The President called upon youth from around the world to join the campaign.